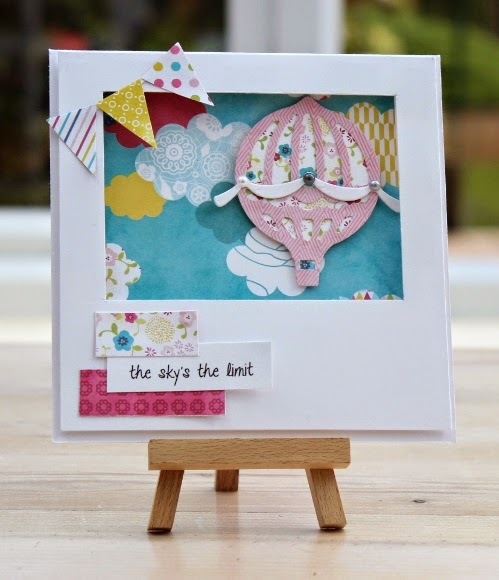 We've launched another challenge over on Let's Craft and Create with a rather loose theme of 'Transport' so let you imagination run wild and join in with the challenge, there's a fabulous set of Sizzix dies on offer to the lucky winner, pop over to the blog for all the information you need to enter. Great card Vicky, I love the mix of pattern papers. What a pretty card! I love the little scene you created in the window!